Oakland Rising Action is enthusiastically endorsing Nikki Fortunato Bas for the Oakland City Council in District 2. Nikki brings the expertise and experience to tackle the tough challenges that face Oakland. Nikki’s vision of bold, progressive leadership that creates an Oakland for everyone is aligned with Oakland Rising Action’s values. We are clear that Oakland deserves stronger leadership. Nikki has a proven track record – in fact, she’s accomplished more as a civilian in the last four years than Guillen has as an elected official. Winning a nationally recognized good jobs policy for the huge Oakland Army Base redevelopment project by working with community groups and corporate developers to ensure local hire, living wage, union benefits, job training programs, and ban the box. Nikki started organizing in Oakland Chinatown 25 years ago, working with brave immigrant women garment workers who were cheated out of their wages by their employer. There she learned the meaning of justice through seeing those women stand up for their rights, over four long years, until they won. Since then, she has been learning from and standing with women, immigrants, and communities of color to work for justice. 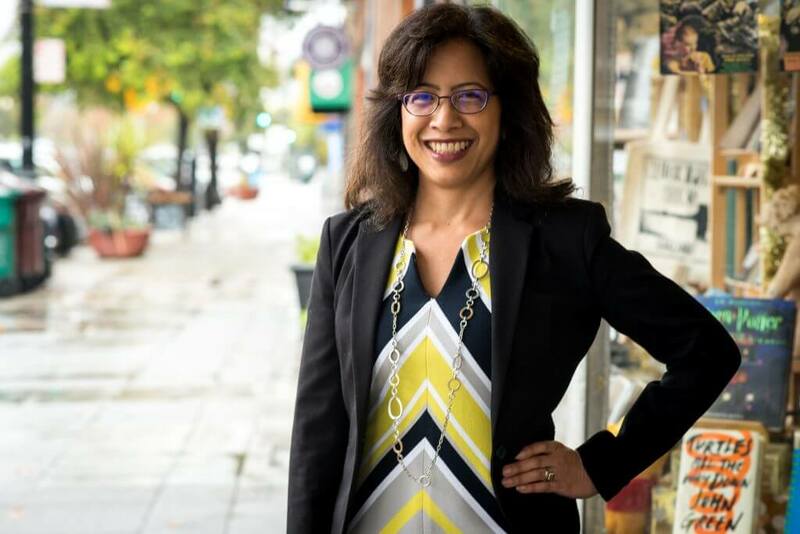 She is the former Executive Director of local community organization East Bay Alliance for a Sustainable Economy (EBASE) and current Executive Director of the national group Partnership for Working Families. She has made the tough but clear choice to leave her job in order to pursue deeper service to her home city of Oakland in this time of a void of moral and political leadership and adequate response to the most pressing needs of our city – addressing the crisis of housing and homelessness. This decision is a departure from our previous endorsement for this seat, but not a departure from our values. Four years ago we endorsed Abel Guillen, mobilizing around his campaign and helping him win by a slim margin of fewer than 400 votes. Unfortunately, once in office Councilmember Guillen quickly revealed his true colors as someone who is more aligned with profit-driven developers and our failing police department than with the community he pledged to serve during his campaign. We tried dozens of times to get his support for community-backed efforts such as the Protect Oakland Renters Act, the ReFund Oakland Budget Coalition proposal, the People’s E12th St proposal, the People’s Public Lands policy, Close the Loopholes policies, and many more. He consistently either declined to meet, refused to support our efforts, mounted weakened alternative efforts, or tried to water down the policies until they were useless. On May 9, 2018, it was revealed via a Public Ethics Commission complaint filed by the E12th St Coalition that Guillen allegedly broke the law by accepting political contributions from developers at the same time he was negotiating deals that they were bidding on. While the PEC didn’t find any legal wrong-doing, this certainly raises questions about how he operates and on whose behalf. After running in 2014 on a progressive platform rooted in economic justice, he sold out the community, betrayed their well-organized process, and put his own interests first to line his pockets with the dollars of developers. He is also the Councilmember who proposed cutting illegal dumping clean-up crews and homeless services from the city budget in the midst of vehement community safety concerns, particularly pertaining to the East Lake and San Antonio neighborhoods. Fortunately, we have a proven champion for justice, integrity and bold solutions in Nikki Fortunato Bas. We believe that in this time of unprecedented housing and homelessness crisis, we deserve leaders who will courageously stand by their values and by the people of Oakland in addressing the most critical issues in Oakland. Guillen’s symbolic gestures like banning city contracts with companies who bid to build “the wall” and his basic community service like graffiti removal are nice – but not enough. It’s time to move away from weak-willed leadership. We deserve leaders who will provide efficient response to both constituent concerns and the larger systemic problems like homelessness and illegal dumping – and Nikki brings a proven track record of doing so.